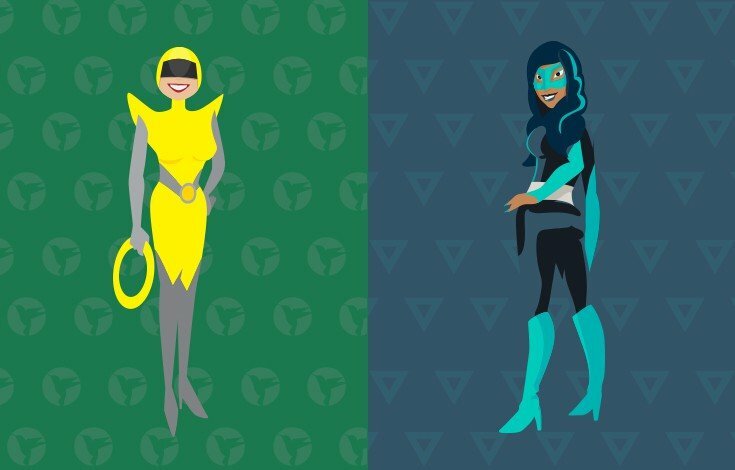 Hummingbird is queen of WordPress optimization and she's here to zip through your site and find all new ways to make it load at record speed. Automate optimization with the Hummingbird utility belt packed with file compression, asset optimization, a complete caching suite, Cloudflare integration and performance monitoring that really gets your site flying! This release is focused on a new brand Admin UI. Also, we would like to welcome the new feature Performance Reports. Users are now able to schedule performance reports and get the results right into their email inboxes! - Fix: When performance test is run for the first time, previous score improvement was "Pending"
- Fix: stylesheets with @import directives were always displayed as "Pending"
Hummingbird is everything you need to get and keep your WordPress sites running super fast. Hummingbird is a performance and optimization pro tool dedicated to giving your site SuperSpeed. Offer the same quality content at a fraction the load time – analyze, minify, compress, merge and cache. Get and Retain More Users With a Speed Boost – Hummingbird Can Help. Hummingbird scans your site and makes recommendations for improving performance. Minify, combine, optimise and position files to improve page speed. Speed up page load times with full-page, browser, RSS and Gravatar cache. Hummingbird includes quick controls for managing Cloudflare Browser Cache. 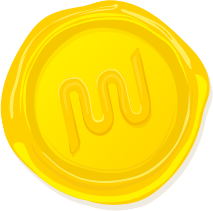 Use WPMU DEV’s secure and hyper fast CDN for faster performance. Smush Pro integration lets you resize, compress and optimize all your images. Monitor your website’s response time and know when you experience downtime. Use performance reports and suggestions to keep your site running at top speed. Use Hummingbird’s recommendations to improve your site’s efficiency and speed. Hummingbird scans your site, locates files that are slowing your site and fixes them to help make your site run faster. Optimize, combine and position files to help pages load faster. Hummingbird uses WPMU DEV super servers and the asset optimization engine to shrink, combine and store files on our global CDN. Did you know the more you load in the header, the slower your site loads? Customize load position to maximize speed. Hummingbird lopped off 11 requests just using the default recommendations. This plugin is just plain super! Hummingbird goes the extra mile to explain the why and how and makes it a breeze to add and test changes. Hummingbird took me from 32 to 84 on Google page speed plus made my site 50% faster on GTmetrix! Hummingbird is so easy to use. I thought it wouldn't change my speed much because I already made improvements. I ran the scan, it gave me recommendations, I pushed a button to apply them and it made my site even faster! Q: Do I need Hummingbird if I already have WP Rocket or W3 Total Cache? Q: Does Hummingbird work with Cloudflare? A: Yes! Hummingbird is built to take full advantage of Cloudflare features. Just plug in your API to get started. Q: Does Hummingbird work with plugins like WP Super Cache, Batcache or the full-page caching feature my Managed WordPress host offers? A: Yes! Hummingbird is stacked with its own powerful cache including full-page cache. But if you absolutely love WP Super Cache, Batcache or the caching tool provided through your Host, you can continue using your preferred service. Q: Does Hummingbird work with WooCommerce? A: Yes! Hummingbird will automatically excludes WooCommerce cart, my account and checkout pages from being cached. Set caching to give users a faster experience the next time they visit your content. Hummingbird is packed with a complete range of cache tools for full-page, browser, RSS and Gravatar caching. Get faster pages and lessen the load on your server by delivering temporary files to your users. Enable GZIP and send smaller files over the web for quicker load times. Install WP Smush Pro to get the most out of your website. If image compression is needed, Hummingbird calls on WP Smush Pro for epic smush power that compresses images while maintaining quality. Save space and drastically improve site speed with WP Smush Pro. Monitor is always on the lookout to check speed and alert you if your site goes down. Monitor is Hummingbirds trusty sidekick and is constantly watching to ensure your site is performing as it should. Monitor your sites uptime, downtime and average response time. Nothing gets past Monitor. WP Hummingbird helps keep your site running fast and efficiently. With a few simple steps, you can find the weak points in your site’s performance and develop a plan to improve. Get setup instructions below or check out our comprehensive Hummingbird feature walkthrough in the documentation library. Because WP Hummingbird features need the WPMU DEV super servers to function, access to pro features requires an active WPMU DEV membership. For more information see the API Access section in the terms of service. Once WP Hummingbird is installed, your first stop is the plugin’s dashboard, which you’ll find under Hummingbird in your WP Admin menu. You’ll see an overview screen of the tools we’re giving you to keep your site running like a champ; Performance Report, Asset Optimization, Browser Caching, GZIP Compression, Image Optimization (with WP Smush Pro), Cloudflare Integration, and Uptime Monitoring. Run a performance scan when using Hummingbird for the first time to establish a baseline of your site’s overall performance. *Hero Tip* Grab a screenshot if you want to look back after you’ve implemented all your optimizations and see how much better your site is performing – it’s for fun. We’ve based our Performance Scan on some of the most critical metrics Google uses in their PageSpeed tool. Optimizing your site not only helps your site load faster, it helps Google and other search engines find and index your content faster, which means your site will perform better and rank higher in search. It can even save you money if you’re using a host that charges based on resource usage. To run your first scan, go to wp-admin > Hummingbird > Dashboard, and click “Scan” in the upper left corner of the Performance Report module. A shiny progress bar will appear letting you know WP Hummingbird is working. The time a scan takes will vary depending on how large your site is. Feel free to navigate to another page while you wait. Hummingbird will continue working in the background. When the scan is complete your results will be listed from lowest score to highest. Each metric is based on a perfect score of 100, and is color coded based on result. Green scores are perfect, blue scores are good, yellow scores need your attention, orange scores are bad, and red scores are critical. Looks like I need Smush Pro! *Important* – Scores are to be used as guidelines, not rules. You may find some elements that are out of your control. For example, If your site is integrated with a third-party services like Facebook, Twitter, or Instagram, you may see an alert related to an element hosted on their server. Focus on things you can control to maximize user performance on your site. Let’s look at the Performance Scan metrics one by one. Avoid Landing Page Redirects – Redirecting visitors from one URL to another creates additional calls which can slow down your site. WP Hummingbird will detect redirects on your landing pages and advise you on how to avoid them. Enable Compression – Lower your page load time by turning on GZIP compression. This will deliver your page and stylesheet files in a compressed format for speedier load times.Learn more about GZIP. Improve Server Response Time – This means your server is taking longer than it should to respond to requests from the browser. This results in slow load times for your visitors. The compression, caching, and optimization tools we include in WP Hummingbird can greatly increase your site’s performance to drastically reduce page load time. Leverage Browser Caching – This alert is letting you know that your site can perform better with browser caching enabled. Browser caching stores elements from your site in a user’s browser. When the user revisits your site, the cached elements load instead of the live versions reducing the load on your server. Learn more about Browser Caching. Optimize Images – This means your image files are slowing down your site. Use WP Smush Pro to compress and optimize your image files with little to no loss in quality. Prioritize Visible Content – Unlike pages on the early web, today’s content is often presented in long, scrolling pages that don’t fit in a single display window. WP Hummingbird will discover whether or not a site is optimized to prioritize the content on the screen over off-screen content. Remove Render Blocking Resources – WordPress best practice recommends loading as many scripts as possible in the footer of your site, so a slow-loading scripts won’t prevent vital parts of your site from loading. Not all plugins and themes follow this paradigm. Hummingbird lets you move script calls from the header to the footer. If you Make sure and backup your site before playing with this feature, or tinker on a testing/staging environment. This is an intermediate-level task, so it’s probably best suited for WP whizzes who are comfortable playing with the code, or a motivated and adventurous beginner. If this is outside your comfort zone, we can help out in the support forums. With the info you’ve gathered from your scan, let’s implement some fixes. *Note – if you got a good score, it’s perfectly fine not to implement the fixes we provide. It is best not to enable them if you are running other plugins with the same or similar features. And when it comes to render blocking issues and WordPress, the best practice is to load as many scripts as possible in the footer of your site, so slow-loading scripts won’t prevent vital parts of your site from loading quickly. Hummingbird lets you see which files are causing issues – it names the exact files – so you can then decide whether you want to move them to the footer, header, or leave them in their original position. Read more on render blocking and positioning here. Every time you install new plugins or themes, you’ll need to run the re-check files feature so you can pick up and minify the new files – otherwise they can drag your performance down! Browser caching allows you to load cached versions of static website content, rather than reloading every element on your page from scratch each time a visitor refreshes or lands on the page. This can significantly decrease how long it takes to load your website and is often the best place to start. This expiry date tells the browser how long to store the cached resources before refreshing. Longer is generally better, especially for resources you know won’t change much over time. By default, Browser Caching is not enabled. To activate click Enable Caching. *Important* – when testing your site, especially after making style or functionality changes, disable Browser Caching to ensure you are seeing a live, not cached, version of your site. Compressing your pages and stylesheets with GZIP saves bandwidth and increases page load speed. GZIP uses an algorithm to create a secret code, where strings of data can be stored as a single bit making the physical file size of your pages and stylesheets much smaller. GZIP is fairly common, and GZIP support may already be provided by your host. If not, and you’re on an Apache server, we provide detailed instructions to help you modify a file which will enable it for your site(s.) If you need help, you can contact your host’s customer support, or we’d be happy to help out if you open a support ticket. Activate Uptime monitoring and we’ll notify you if your site is down or running slow. 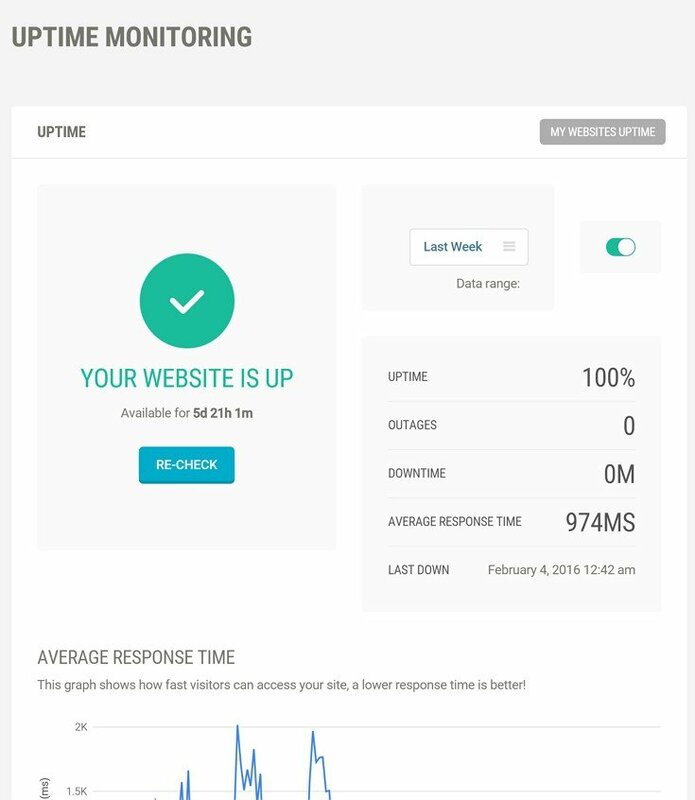 Uptime also lets you know the average amount of time it takes for your site to load. Faster load times improve user experience. Uptime monitoring will email you each time your site is inaccessible, and again when your site is back online. Enable Uptime Monitoring either through the WP Hummingbird settings, on your site, or via the WPMU DEV Hub. *Hero Tip* If you are using Cloudflare and Hummingbird, but aren’t using the integration, your Cloudflare settings will override the settings and any changes you make in Hummingbird. Setting up the integration is very simple, and shouldn’t take more than a few minutes, start to finish. You will need a Cloudflare account (free and paid accounts both work), with the domain you’re working with added as a zone. If you need a little help, check out Cloudflare’s docs. While you’re logged in to your Cloudflare account, click your username in the upper right corner and select My Settings. While in the My Account tab, scroll down until you see the API widget. Click View API Key to bring up a modal window with your unique key. Copy this to your clipboard. In your Hummingbird dash, find the Cloudflare integration widget. Add the email address connected to your Cloudflare account, and paste your API Key in the correct field. Then click Connect. Next, you’ll be prompted to select the domain. Choose which Cloudflare-connected domain you’re currently on from the dropdown. Then select Enable. You should see a confirmation message letting you know you’ve successfully connected Hummingbird to your Cloudflare account. With WP Hummingbird you get all the data you need to keep your site running at top speed, a suite of tools to help meet your optimization goals, and Hero Support to back you up. If you need any help at all, feel free to ask a question and one of our brilliant support team members will be delighted to assist. Build a more speedy site with powerful optimization tools.